Conn-Man Games: What's a "Submersible"? We had the strangest encounter today, with mixed results for the crew and our hunt for Haworth's treasure. We sailed across a Southeastern wind to an island south of Ape Isle. It was fortunate that the wind was constant, although clouds were scudding into view as we dropped anchor and set the landing boat in the bay. Landfall was uneventful. As per usual, nobody greeted us on the beach. Trekking inland, we finally saw an inhabitant as we breached the jungle interior. 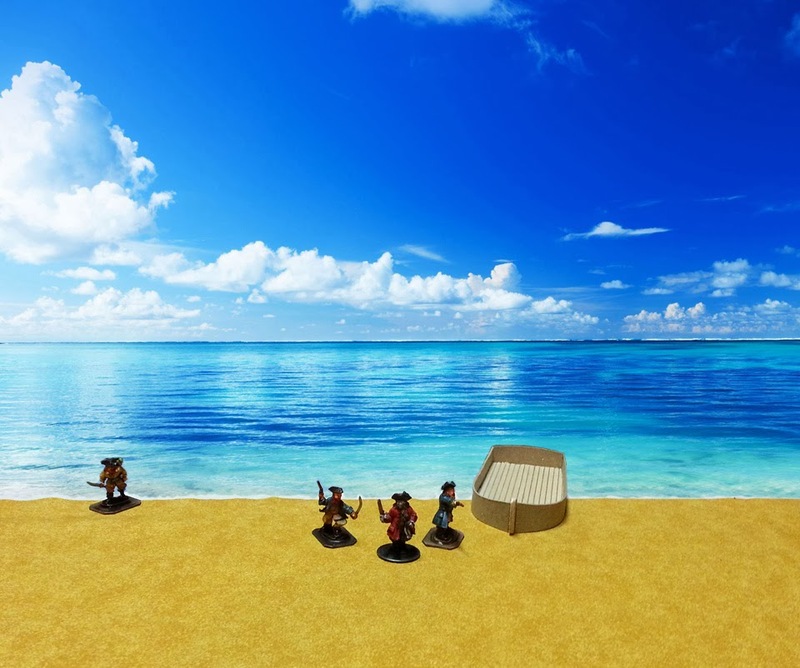 A burly, shirtless dwarf sailor eyed us from some ruins. He didn't advance, so we clustered amongst the foliage and eyed him back. 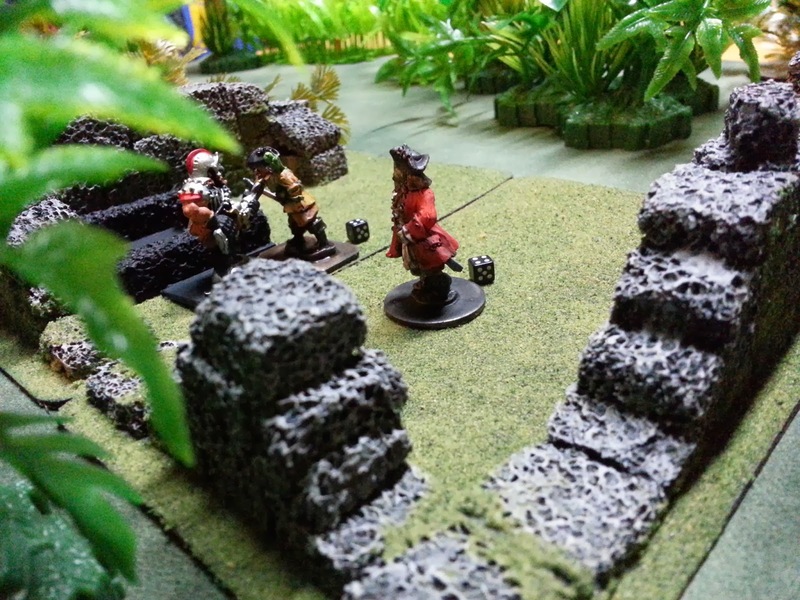 As we further entered the canopy, more ruins and dwarfs were revealed. 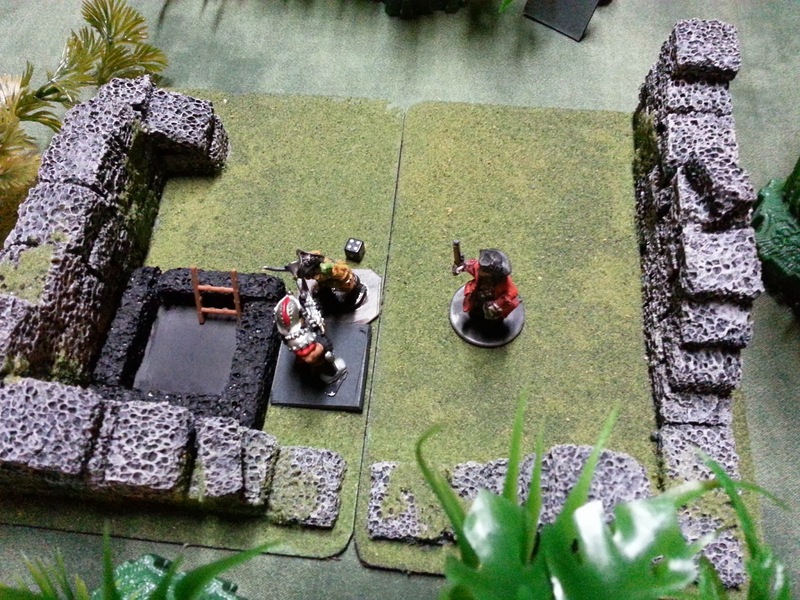 We were hailed by a rather foppish looking dwarf standing by an opening in the ruins to...something...below. He asked us our business, which I told him outright. He stated that Haworth's treasure was the property of the "Dwarf Nation" and then asked me a rather odd question. "Do you know what be a submersible?" I was clueless as to what the diminutive fellow was talking about, but my bosun, who was standing at my side, glibly recommended I answer in the affirmative. I passed off the question as one that was common knowledge, which seemed to perplex and perturb the fop to no end. Words became rather short at that point and resulted in gunfire emanating from the bushes behind and to the side of the ruins. My bosun and "Lucky" Bill were left hugging the earth as the aforementioned burly dwarf and a similar compatriot rushed us. Their charge was shortened by return fire and a well-placed melee attack. Neither the bosun nor Bill were harmed in the exchange, but the flintlock-wielding foe needed to be dealt with sharpish. 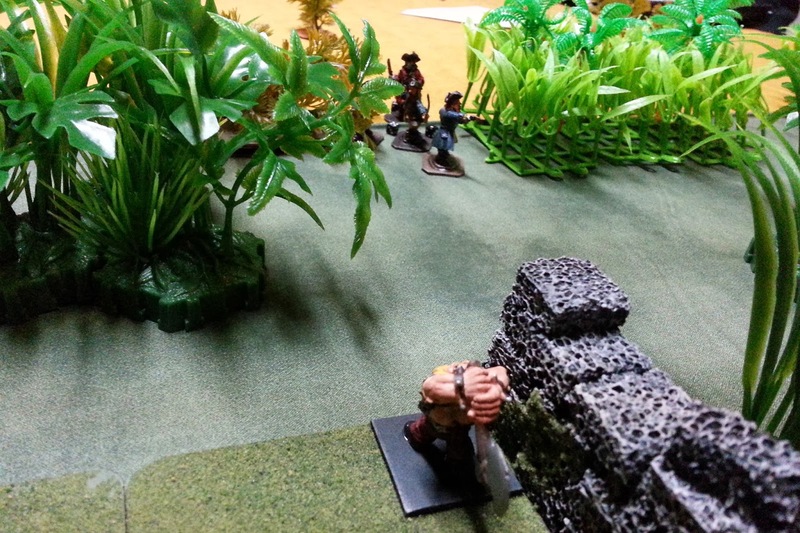 We managed to chase one toward the hole in the ruins, which the fop and the other gunner had fled down. 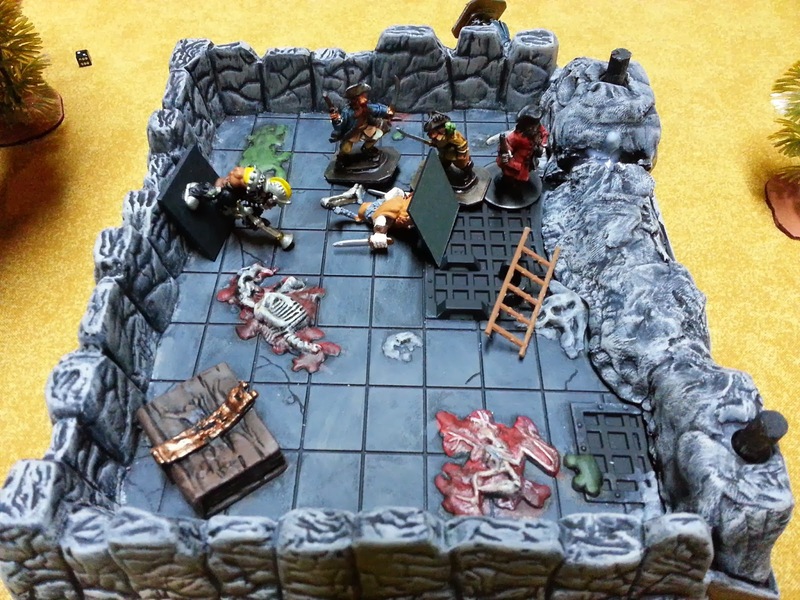 Outnumbered and unloaded, the poor little man stumbled backward into the hole, his fate unknown by us. The ladder was then quickly pulled down into the hole, denying us easy access to the wee ruffians below. We decided, after much discussion, that we would jump down into the hole and finish this ugly business. This proved to be where our luck ran out, of sorts. 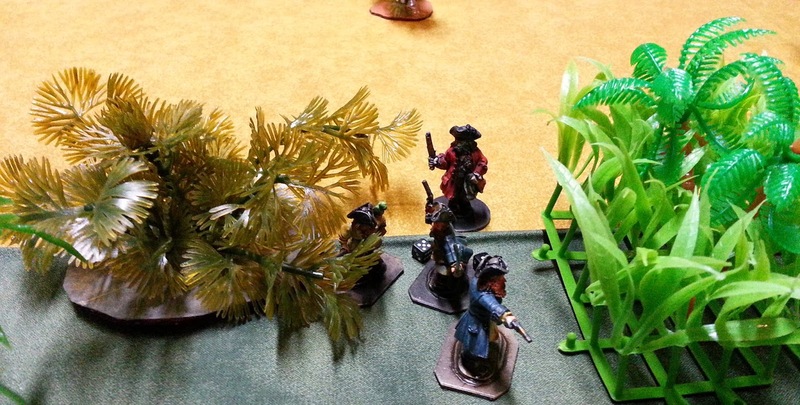 First down the hole was the bosun, who promptly fell as he turned an ankle on the corpse of the gunner laying on the ground. Unhurt, he was nevertheless in the way of the rest of the party following in his wake. I fell down as I landed on the bosun. Ol' Bloody proved more spry and avoided collapsing as well. Poor Lucky tripped as he dropped, hit his head on a stony outcrop and was instantly knocked unconscious. 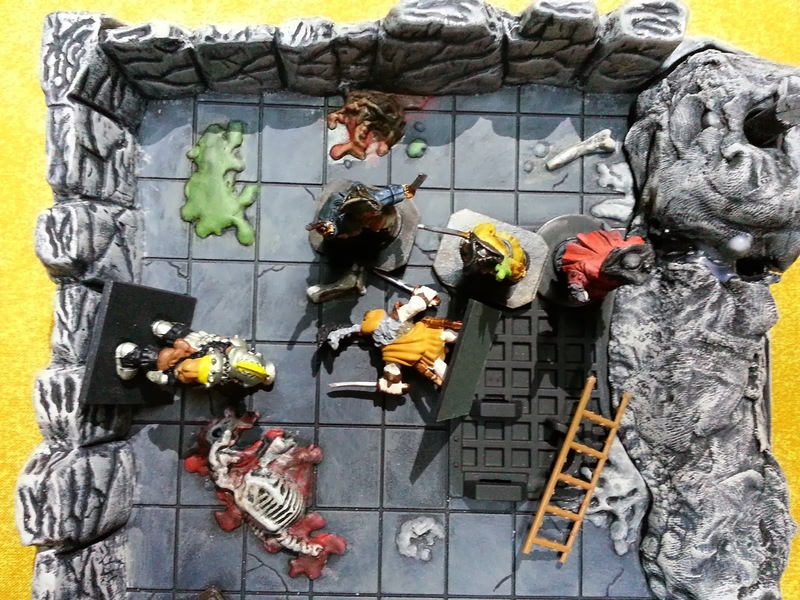 The dwarfs, stunned that we followed them into the hole, watched agape as we untangled ourselves. 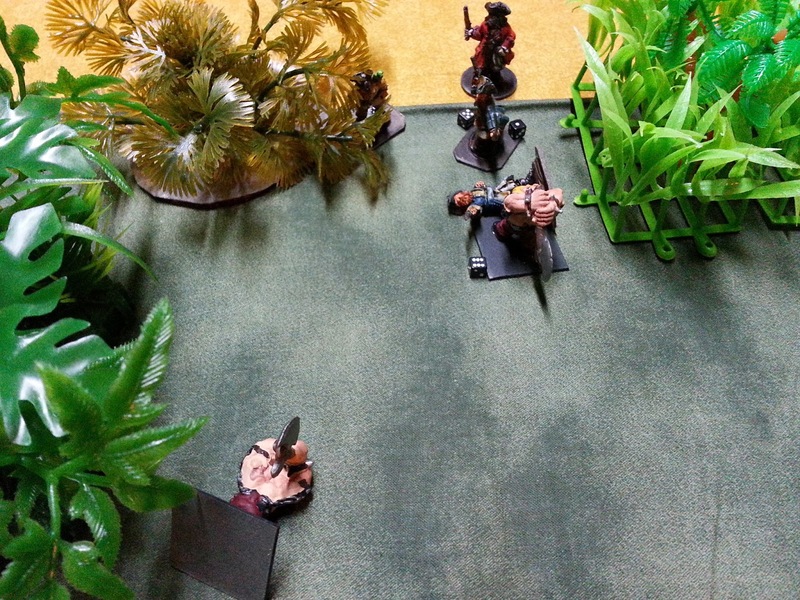 Bloody killed the shooter, but that left the fop time to charge into melee with the bosun. We quickly surrounded the little man and felled him with savage blows. A search of the chest in the corner yielded both 50 gold and a second piece of Haworth's map. As we prepared to leave, a voice hailed us from the grate by the exit. A female prisoner! Her name is Isabelle LaRoux and she was shanghaied by the dwarfs for some unknown purpose. She is a wickedly-tongued lass, but appears able in both pistol and intent. Woe to he that crosses her path, as murder glints in those brown eyes! We carried Lucky back to the ship, where his head injury was tended. He's conscious and moving, but his wits seem addled. His temperament wavers more than a compass needle in a lightning storm. He'll need be watched during further landing encounters. All in all, the excursion was profitable. Money, map and new crew are always welcome on such an adventure!